The Target Saver: Kellogg's Family Rewards: FREE 25 Point Code! Kellogg's Family Rewards: FREE 25 Point Code! 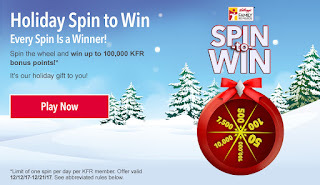 Kellogg's Family Rewards Members - enter code HOHO-HOLI-DAYB-ONUS to receive 25 FREE Points! If you are not a member, head over here to join. This code expires on December 24th.